Free Download Super Smash Clash – Brawler + Offline Data. Battle to knock your opponents off the stage in an intense four player brawl!Choose one of five characters each with a unique move-set. The more you hit your opponent, the farther they will fly! Use skills you have learned from your favorite games like Super Smash Brothers Melee, Brawl and PlayStation All-Stars Battle Royale! Unlock 5 characters each with their own moveset and gamestyle. Some are quick and agile, and some are slow and powerful. Some can easily fly to safety when off the platform, and others and smash opponents downward to their doom. Figure out which character you’re best at, and then challenge your friend to a multiplayer match (and unlock another character by doing so). Start with 2 stages and unlock 3 more. Some stages have one way platforms which you can jump up through. Some have a pit you can knock an opponent into. After completing all of Mr. Randoms’ (the stick figure’s) levels, you unlock a side scrolling stage. Super Smash Clash is a game you can count on being updated. 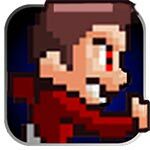 There are many developers dedicated to making the best mobile platformer fighting game. The chaotic battles can be expected to evolve. Join the Clash! Download now! Coming soon to iOS too! Please email us at impactgamesstudio@gmail.com with any issues, questions, or comments.